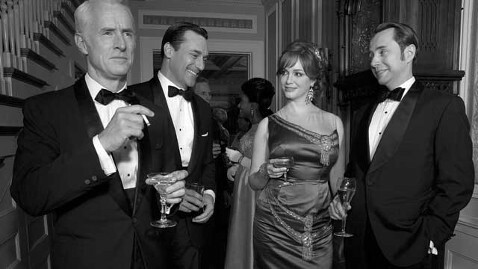 Some of the cast of AMC’s Mad Men. Yesterday was that rare instance when television illuminates. Even so, the light shone by the tube can often reflect on our own mirrors—and the image is rarely beautiful. Mad Men has been one of my favorite programs for a long time—mostly for superficial reasons. Sure, the series gets deep once in a while, exploring emotions or lack thereof (the latter in the case of main character Don Draper), but I just love the entire ambiance. The clothes, the furniture, the hair, the constant booze, cigarettes and womanizing; the show does a great job romanticizing a time and place that, if you had an ounce of humanity in you, shouldn’t be celebrated at all. Yet yesterday’s episode, which focused on Dr. Martin Luther King Jr.’s assassination on April 4, 1968, gave an interesting window into how this predominantly white establishment dealt with crisis. Let’s face it; for most of America, the 1960s was still a time of rigid social mores, gender roles, and class divisions that gave more leeway to those males who climbed higher up the food chain (a time we’re unfortunately cycling back to today). The counter culture image of the Sixties was what America saw on TV, but not necessarily what dictated their everyday lives. To paraphrase a famous saying, by the time the Sixties really reached middle America, it was the Seventies, and nobody cared. It certainly seemed that way for the characters of Mad Men, as the episode opened with an advertising awards ceremony in New York. As the advertising honchos got in their tuxedos and mink stoles, the keynote speech (given by the late Paul Newman as an endorsement to 1968 presidential candidate Eugene McCarthy) was interrupted by a shout that King was killed in Memphis. As the episode wore on, the emotions of the principal characters ran the gamut. Megan Draper and Peggy Olsen cried at the news. Don and Roger Sterling stood as stoic as possible—with Roger cracking wise that he thought King’s famous eloquence would save him. Old-money scion Pete Campbell lashes out at Harry Crane for thinking of profits on what he calls a “shameful, shameful day!” Buxom office matron Joan Harris hugs Don’s Black secretary Dawn. Even Don’s son Bobby starts ripping the wallpaper in frustration. If there was one common theme in their reactions to the King assassination, it isn’t rage, regret, or even sadness—it is awkwardness. It’s an awkwardness that captures beautifully the confused mindset of most of white America (at least north of the Mason Dixon) at the time. The King assassination was one of the defining moments of the decade, and opened a groundswell of emotions. The survivors of King’s movement tried to keep his legacy and activism alive as best they could. Stokely Carmichael and others in the Black Power movement called for an end to nonviolent resistance. Riots sprang up in overt 100 urban areas, including Washington, DC, Chicago, Pittsburgh, Baltimore and New York. Again, if you didn’t live in these riot zones, all of this was seen through television. Most of America, to be honest, really didn’t know how to react. David Halberstam, the famous journalist, reported callous, even vicious reactions by whites, particularly in the South. Yet most of America was too stunned…too bewildered…and definitely not sure of what the right reaction should be, especially since the wrong reaction (riots, violence) was sprawled all over the six-o’clock news. Mad Men was not about to cover the rage and discontent in the Black community, and rightfully so. Mad Men never has been, and never will be a show about people of color in the 1960s. It’s about white America, the elite of white America, and how that elite changes with the rise of mass culture and mass communications. Old-money nabobs like Roger Sterling and Bertram Cooper evolve into the self-made media elites like Don Draper. As such, it would be extremely stilted, and rather phony, to shift focus from Madison Avenue to the streets of Harlem. The awkward silences, the phony hugs, the confusion about what to do—all of that reflected perfectly the era and the people of the ruling class of 1960s New York, and nothing else. Yet even with a clear view, the vista is not always pleasant. 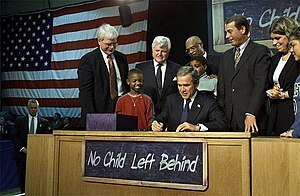 In hindsight, we should’ve known better. The assassination did not serve as a galvanizing force in America. On the contrary, it showed how while the activists, intellectuals and politicians moved closer together, the rest of America was still far apart. Not only were the differences vast, but growing every year as awareness through the media didn’t always lead to acceptance or even sympathy. Many whites in 1968 still saw civil rights as a threat to their way of life, and not just in the South. The awkwardness, therefore, reflected a reinforcement of social niceties that mask true intentions. It’s difficult to know how anyone on Mad Men truly felt about civil rights: even the most liberal of characters, like Peggy Olsen, hasn’t had her worldview tested by a Black family moving next door. So, in its own way, Mad Men was a lot more realistic about the attitudes of the 1960s than any other show. The strange silences, stilted apologies and affected shows of affection demonstrate an establishment ( indeed, an entire population) with not only an extreme disconnect to the world around them, but a complete breakdown as the chaos enters the front door. As our society suffered further catastrophes in the decades since, one must wonder if we ever learned how to react. What do we do when the world comes crashing down? Do we make the painful observations that are necessary to make our world better…or just wrap ourselves in the comfort of awkward silence?